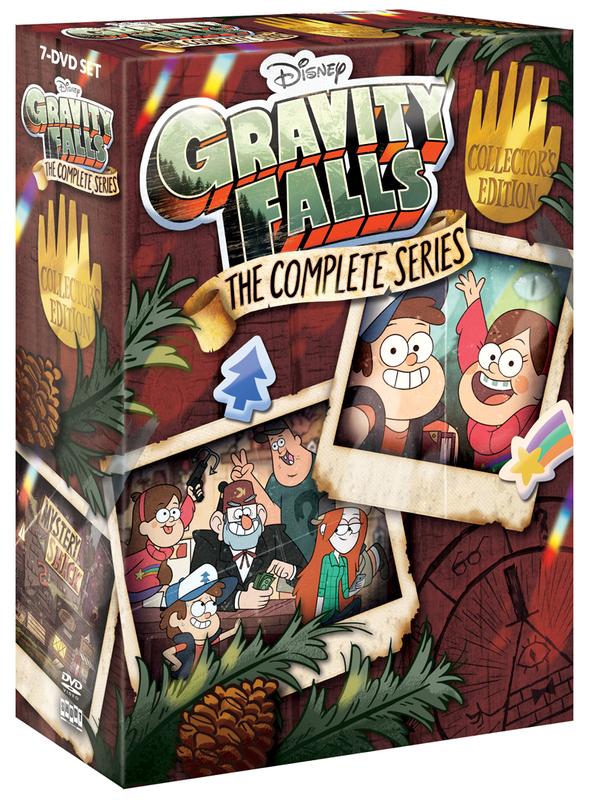 Gravity Falls: The Complete Series Collector's Edition contains all 40 episodes and stars Alex Hirsch, Jason Ritter, and Kristen Schaal. For their summer vacation, 12-year-old twins Dipper and Mabel Pines travel to the fictitious town of Gravity Falls, Oregon to spend the summer with their Great Uncle Stan Pines (often shortened to Grunkle Stan), who runs a tourist trap called the 'Mystery Shack'. Things are not what they seem in this small town, and with the help of a mysterious journal that Dipper finds in the forest, they begin unraveling the local mysteries. With appearances from Wendy Corduroy, Mystery Shack cashier; Soos Ramirez, friend of Dipper and Mabel and handyman to Grunkle Stan; plus an assortment of other characters, Dipper and Mabel always have an intriguing day to look forward to. Special Features: Audio Commentaries On All 40 Episodes With Creator Alex Hirsch And Members Of The Cast And Crew, Comprehensive Making Of Documentary with Interviews with Cast & Crew, Deleted Scenes, Shorts, and More!